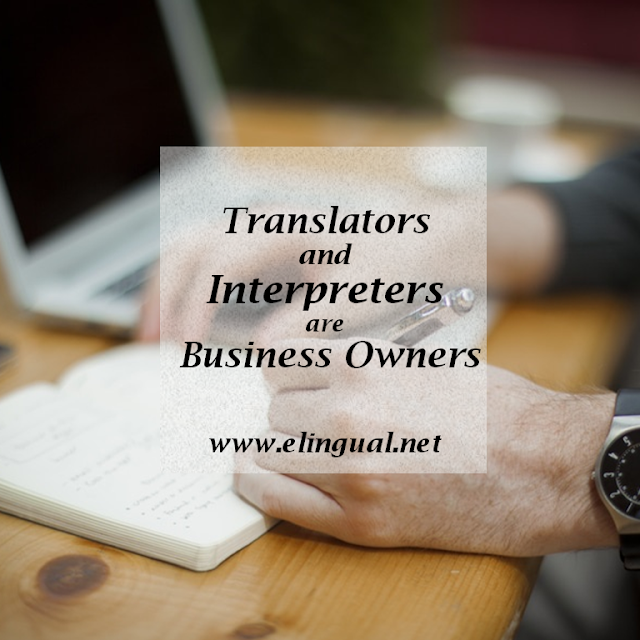 Professional translators and interpreters are business owners. Google defines a business as, "a person's regular occupation, profession, or trade." Merriam-Webster defines a business as, "the activity of making, buying or selling goods or providing services in exchange for money." 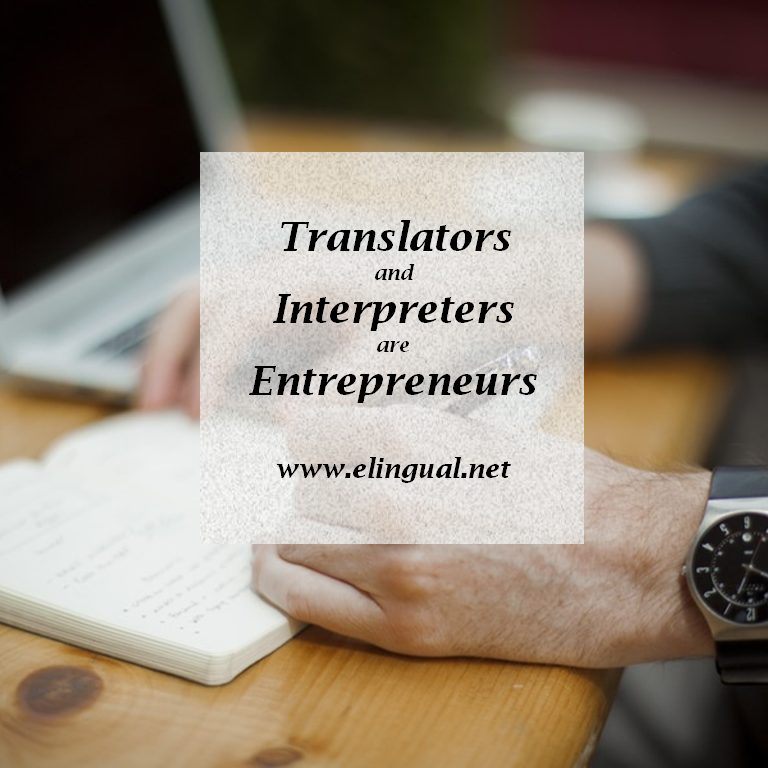 Professional translators and interpreters are also entrepreneurs. An entrepreneur is, as Google defines it, "a person who organizes and operates a business or businesses, taking on greater than normal financial risks in order to do so." They take on great financial risk. The US Department of Labor states: "Self-employed interpreters and translators often have variable work schedules, which may include periods of limited work and periods of additional, irregular hours." Translation and interpretation are professional and specialized services. 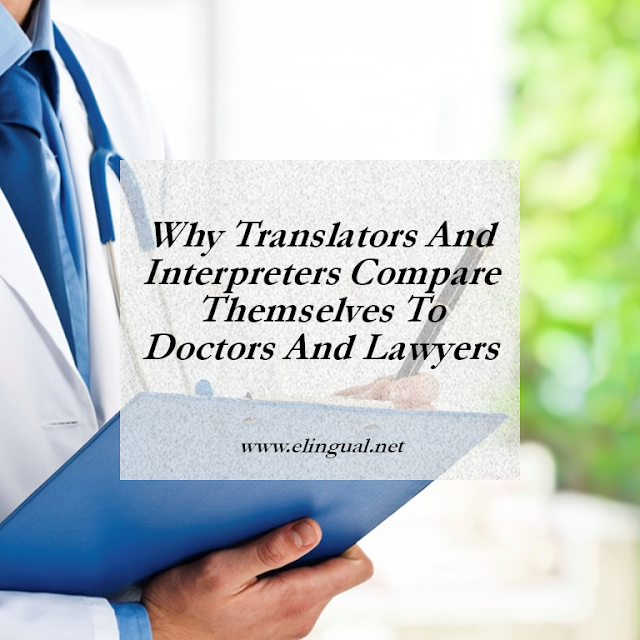 If a translator or interpreter calls themselves a professional then they have the experience, credentials, qualifications, expertise, degrees, background, education, certificates, recommendations and anything else to back up their statement. In other words, if they state they are a professional, then it should be reflected in their services, quality, value, and professionalism. Their services should be of professional grade. Their services should be of quality. And their fees should reflect this. Their services, expertise, quality, background, experience, and value are worth a lot, one may say in most cases, it's priceless. Do I seek a professional or amateur? Am I seeking professionalism and not commodities? What are my (as an individual or company) values, priorities, and standards? How much do I value my own business? How much is my business worth to me? Are me quality standards high? What is my (as an individual or company) reputation like? 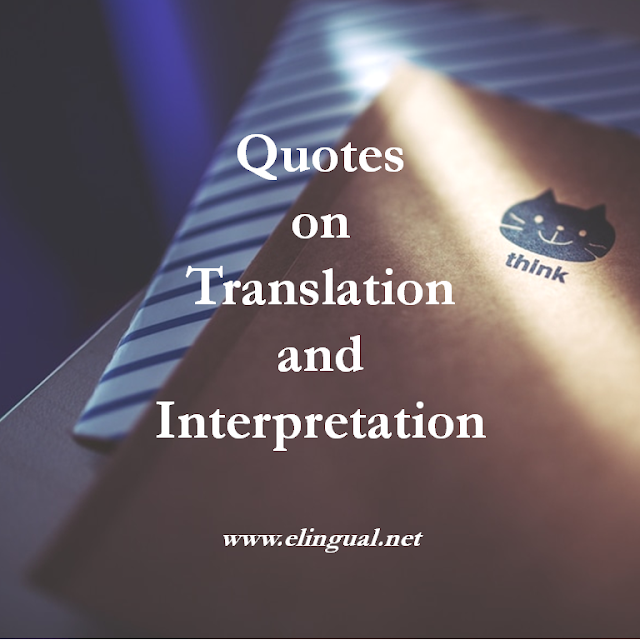 What do I (un)reasonably demand of translators or interpreters? Am I and my business professional? Don't I want the best for my business? Am I and my business not worth the best? Do I seek the cheapest option? Professionals only work with clients who value them. Would you want to shortchange your own business by hiring an amateur instead of a professional translator or interpreter? Is it simply to save a few dollars? The few dollars you save will turn into a greater loss in the long run if you don't hire a professional. Are you and your business not worth it? 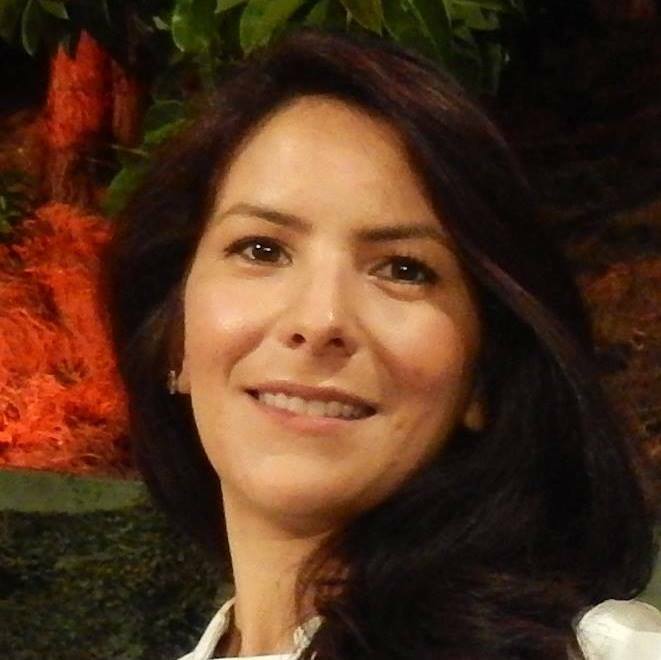 Professional translators and interpreters are a business. Not a charity. And since they are running a business and distinguish themselves as business owners and entrepreneurs, they charge like professionals too. As defined earlier, an entrepreneur organizes and runs a business taking on greater than normal financial risks. Let's concentrate on the phrase "taking on greater than normal financial risks". What this means is that they, as the entrepreneur, are at a greater financial risk than other businesses, and for this reason and many other reasons they set their own fees. But, What If They Are New In The Profession? If they don't have the experience, many offer their services for nonprofits for free, but usually everyone else pays. Simply put, just because they are new in the profession you can't expect work for free. If they are qualified like we discussed above, then it is only fair they should reap the rewards of their hard work. Think about this: Simply because a physician or a lawyer is new at their job, does that mean they will work for free? No. 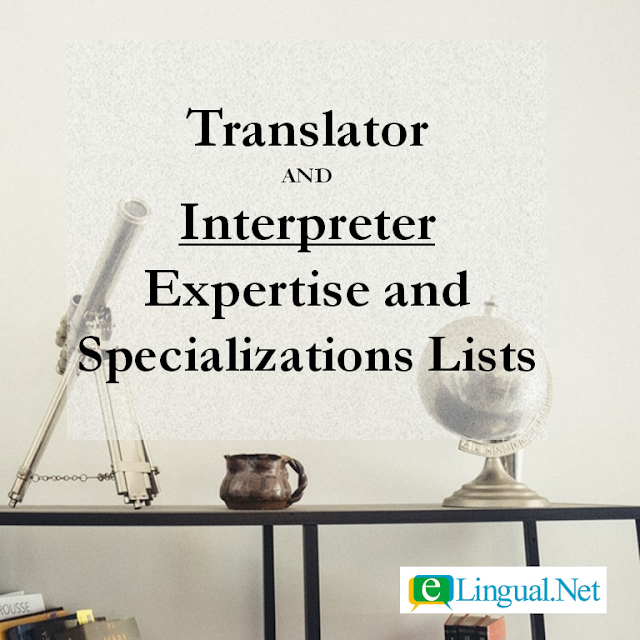 Ultimately you can see a translator's or interpreter's qualifications and decide if you want to pay their fee or not, or try to negotiate. If you are not willing to invest in your business, that is up to you to decide. We all know quality costs more at first glance, but most likely is the cheapest option in the long run. Take as an example my mom, Maria, she needed to buy a strainer for her kitchen sink. She went to the local dollar store and bought a strainer for of course 99 cents. A few days later the strainer broke and she had to replace it. Then she bought a slightly better strainer at a department store for $1.49, but this one too after a few days was no good. Finally she went to the hardware store and bought the one she should have purchased which was slightly pricier; being $3.49. No complaints, it works and looks great. Notice how much money, time and gas she would have saved if she would have bought the more expensive one right from the start, not because it was more expensive, but simply because of its superior quality. Bottom line, professionals are trusted, respected, and get paid well for their services, just like doctors and lawyers. So, how do you find that perfect translator or interpreter who will communicate your message correctly? eLingual.Net is a great place to start! We will help connect you with interpreters who match your needs.